Recorded on Wednesday January 20th 2016, with Harry Knight, Ru Hill and Asher King. We started this show by talking about surfing longboards in the small waves we’ve had over the past few weeks, and a little debate about the pro’s and con’s of surfing without a leash. Here’s Ru out front on his 8’8. We also mentioned the Surf Simply Tutorials, and the new season that we are in the process of putting together. First item in the news this week is, of course Kelly Slater’s Wave Pool, and the video he released showcasing his first session. Harry mentioned other video’s of previous wave pools, including Taj Burrow in Malaysia, Dion Agius in Abu Dhabi, and Wavegarden. He also mentioned the articles that managed to track down the location of Kelly’s wave, like this one from Swellnet. Asher brought up the footage that’s come out of Sandspit in California as being similar in shape but harder to surf. We then moved on to talk about Kelly Slater’s new line of surfboards that are being made by Firewire Surfboards, as well as the new boards by Rob Machado and Wingnut, and the the Volume Calculator on Firewire’s website. Next topic was the English Surf Federation deciding that men’s and women’s contests should have equal prize money, which lead to a discussion about some different structuring of the World Tour and the broadcasting of those events. 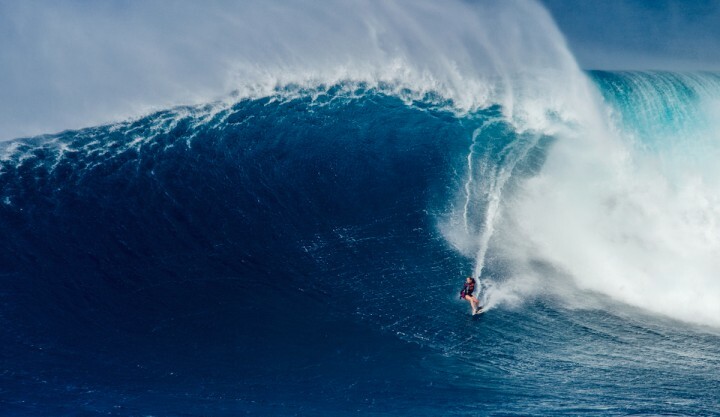 The final news item was the Big Wave World Tour event at Todos Santos in Mexico, and how it was overshadowed by what is being called the “Day of Days” at Jaws. Ru then brought up Bethany Hamilton towing into Jaws just 6 months after giving birth. The big story this episode was wrapping up the WSL World Tour, which finished at Pipeline back in December. Adriano de Souza beat Gabriel Medina in the final to win the world title, but the big story was Mick Fanning, storming through the early rounds, before learning of the death of his brother back in Australia on the final day of competition. Ru then talks about his attempts to replicate Dane Reynolds’ “Broken Wing” Layback barrel riding technique that you can watch in this clip. We announced the winners of the Men’s League, and interviewed the Women’s League winner and runner-up: Brandon Boyce and Coryn Daniel. “Joel” and “Austin” if you guys want to get in touch with us, hopefully we can get you on next episode. Final edit this week is the Stab/Swell video “Scorched” with Dane Reynolds, Kolohe Andino and Noa Dean. Unfortunately we can’t embed that video in the notes, but you can watch it here.